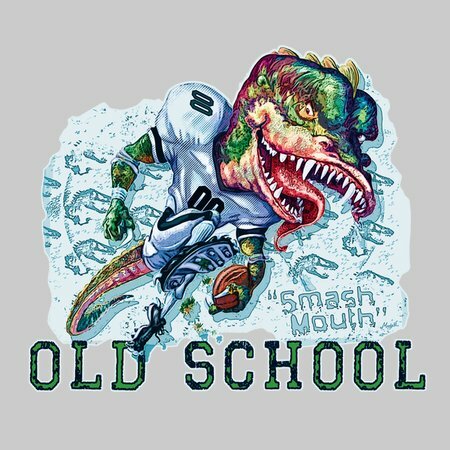 Football Tee featuring Smash Mouth the Prehistoric Running Back by Mudge Studios. 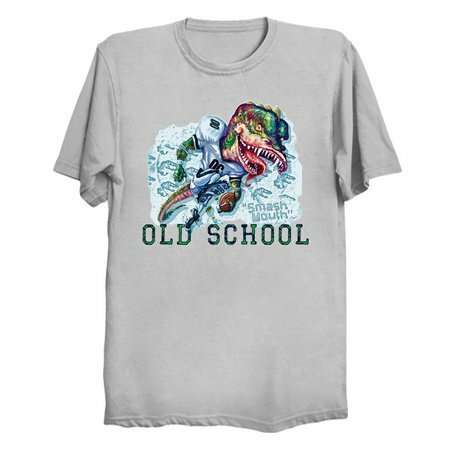 Cool Football T-shirt for the Pigskin fan, dinosaur fan, football player and fantasy football lover. Celebrate the Epoch Greatness that is Old School Football.